Karma is a lover. 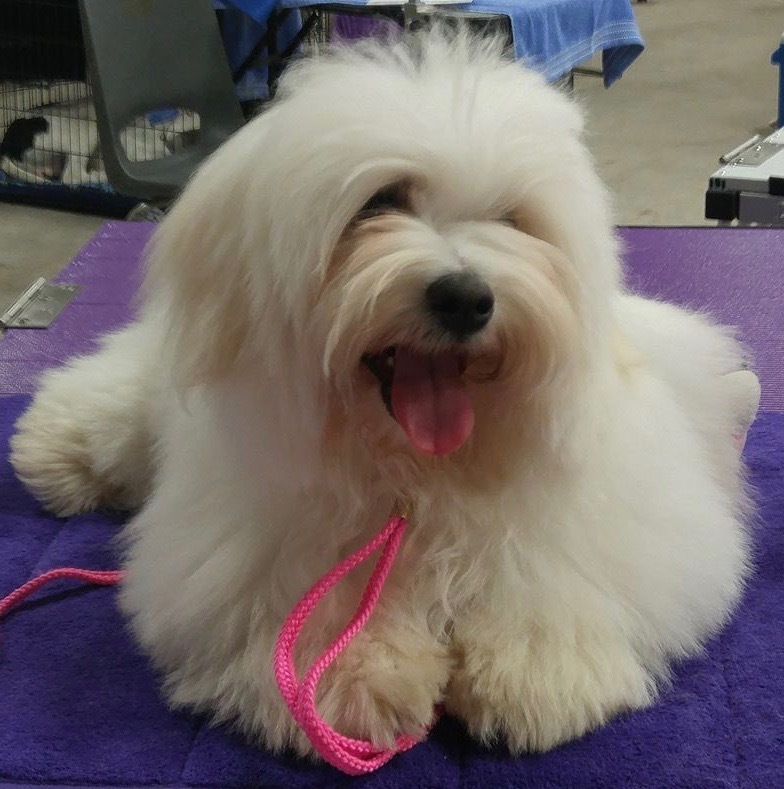 A really sweet little Coton who is a wonderful mother and loves to play with her puppies and other Cotons. Her favourite passtime is running and having others chase her. It's not very often that any other Cotons can catch her. She just flies through the grass. Karma will be bred on her upcoming season. My mom says I'm about the sweetest little girl in the whole world! 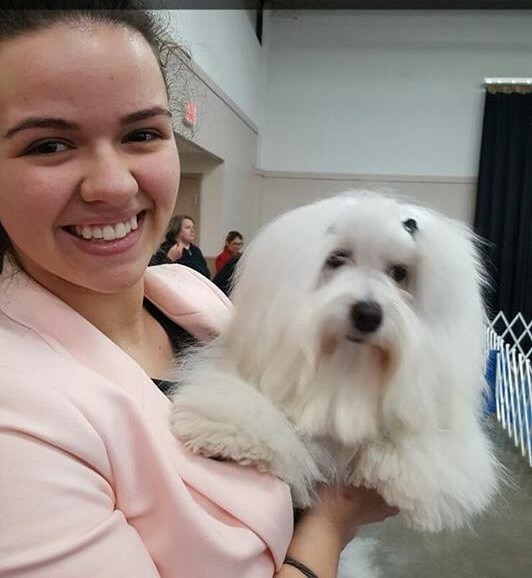 I have been to a few dog shows and I'm getting some points to my CH title with CKC. I have a soft, smooth coat and beautiful dark eyes. I'm on the small side of the breed standard. I love to dance on my back legs and also share dad's snacks. ﻿﻿Born May 16/17 to Haskap and Kouros. I am co-owned with Dave and Kim Cahill. I have an older puppy sister named Cali and I love to bug her! She's not too keen on having me around sometimes. I really like being in the show ring but sometimes I get a little too excited and forget how to walk like a little lady. I have earned my CKC Champion title. I have "the best personality and temperament ever!" says my mom, whatever that means. 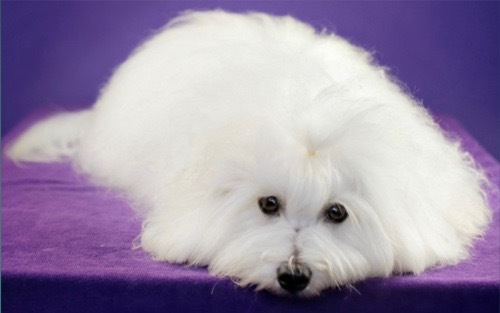 And I have a really thick white coat too. Lily will be bred in spring 2019. Keeva is out of Vienna and Seamus (Alika Tia Springtime in Vienna and Alika Tia Three Stooges Curly). She has the wonderful pigment and great coat of her parents. Keeva will be bred in late 2019 provided that her health tests are all cleared. 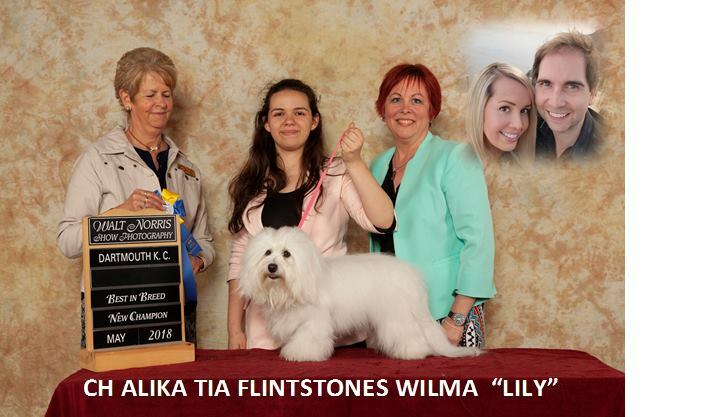 Lily with her handler Emma Osmond Feb 2018. 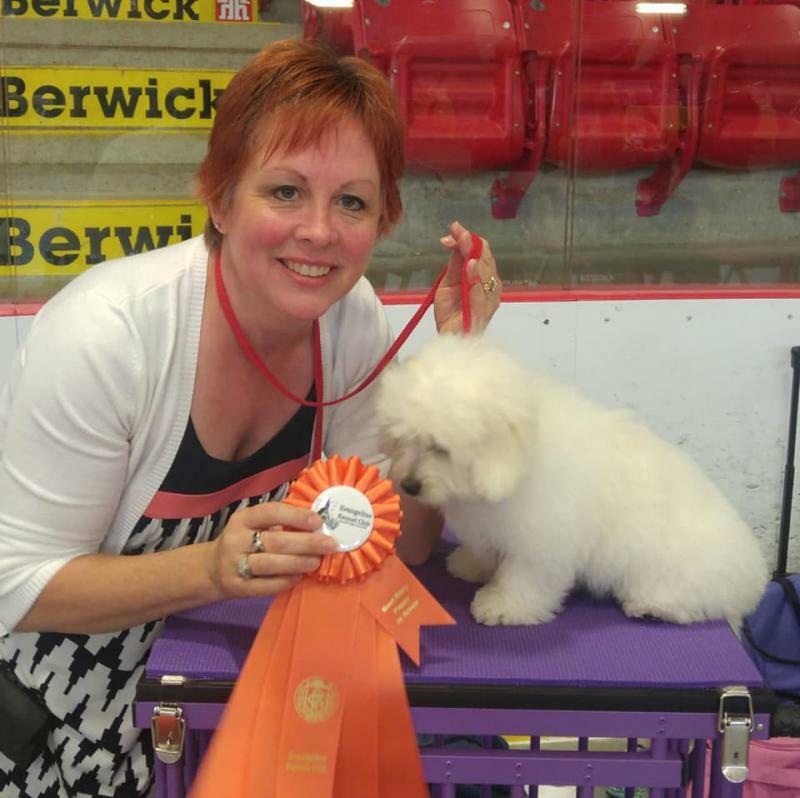 Keeva's first shows as Baby Puppy were June 30 and July 1/18. At 3 months old she was awarded Best Baby Puppy in Group.